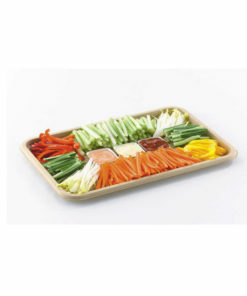 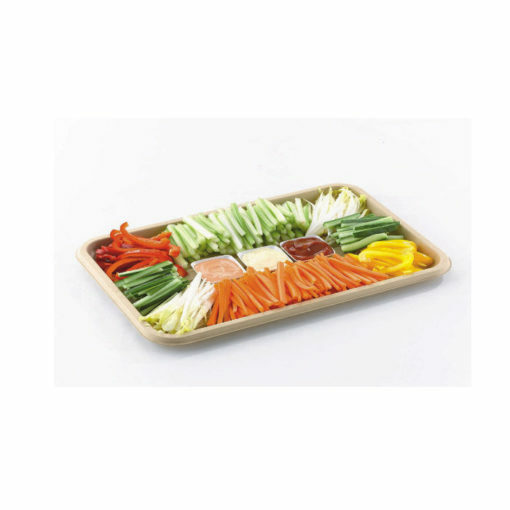 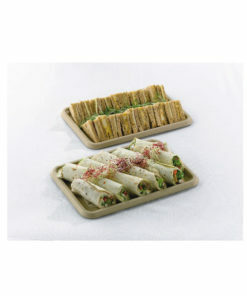 This leak-proof, rigid platter, made from bagasse, does not contain any additives. The clear lid (sold separately: see code DS14L) fits tightly and showcases your food perfectly. 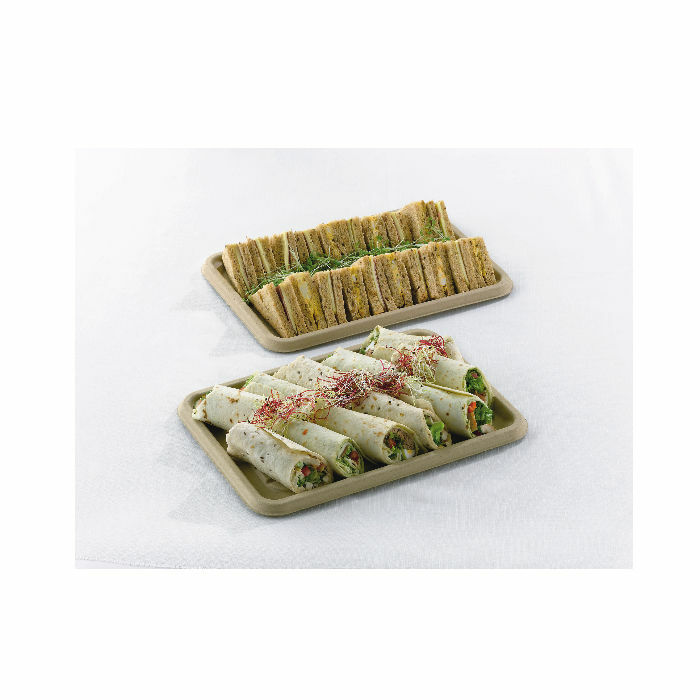 Ideal for corporate buffets where a professional image is desirable.This product is also available in 17″. 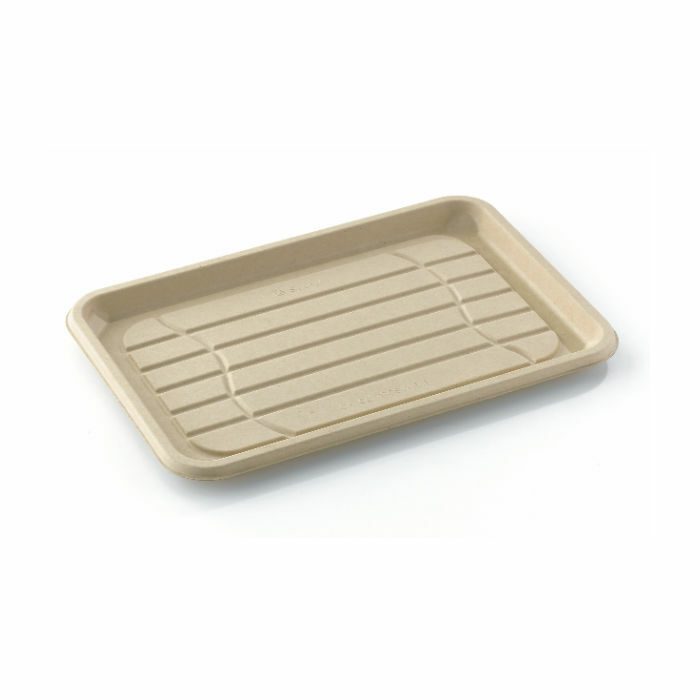 These compostable trays can be thrown away with the food waste. 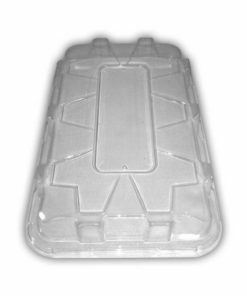 And pro-rata they are exactly the same price as the black plastic, which is very cost effective way to be green. 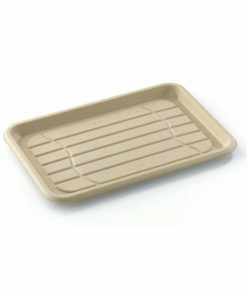 This is the Base only if you require a Lid please order the DS14L (Cased 50) see related products below.